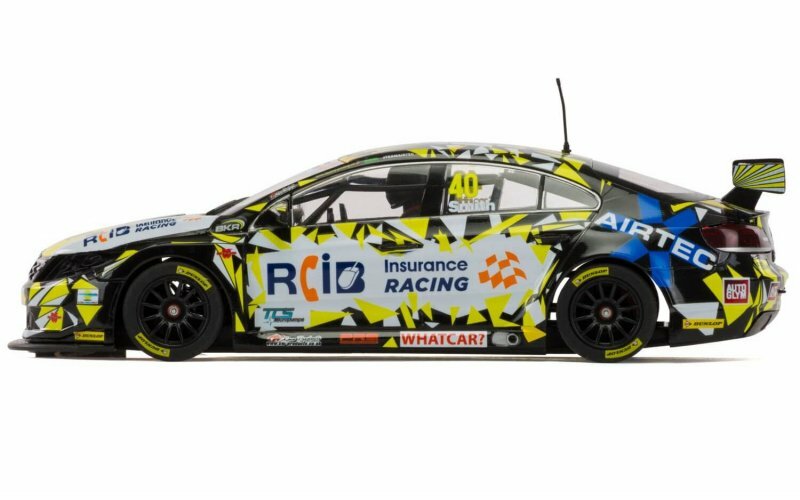 BTCC Round 1 Pre-Race warm up: Team Hard Scalextric Dual! Team HARD’s Jake Hill and Michael Epps dropped by the official Scalextric tent at Brands Hatch on the opening weekend of the 2017 British Touring Car season for a little unofficial practice time. Anybody knowing the 2 lads, let alone the competitiveness of Team HARD as a whole, could probably anticipate was what going to happen when both BTCC drivers were handed a Scalextric hand controller each before the big BTCC racing itself on the larger track took place. You could almost sense the adrenalin and testosterone as both drivers stepped up. Perhaps it was because both drivers normally work as part of a close knit team, and here they were, pitted, side by side in what was, after all, a ‘friendly’ challenge. Jake Hill looked nervous possibly surprised with himself as he successfully ‘drifted’ one or two corners. Mike Epps kept his normal ice cold composure. Both drivers were of course driving officially licenced RCIB Insurance Racing branded cars so neither could argue a competitive advantage over the other. The outcome of the race? We’ll let you see the ‘small track skills’ of Jake and Mike yourself so you can make up your own minds…Official Scalextric Video.